The rose is surely one of the most classic and delightful of flowers, synonymous with romance, elegance, and the english garden. Our Rose Planter perfectly captures this beauty with a selection of pretty miniature roses, potted in a galvanised steel container that exudes simple charm. The resplendent pink against dark green is a classic combination, and the navy bow adds a jaunty touch to the oval container. 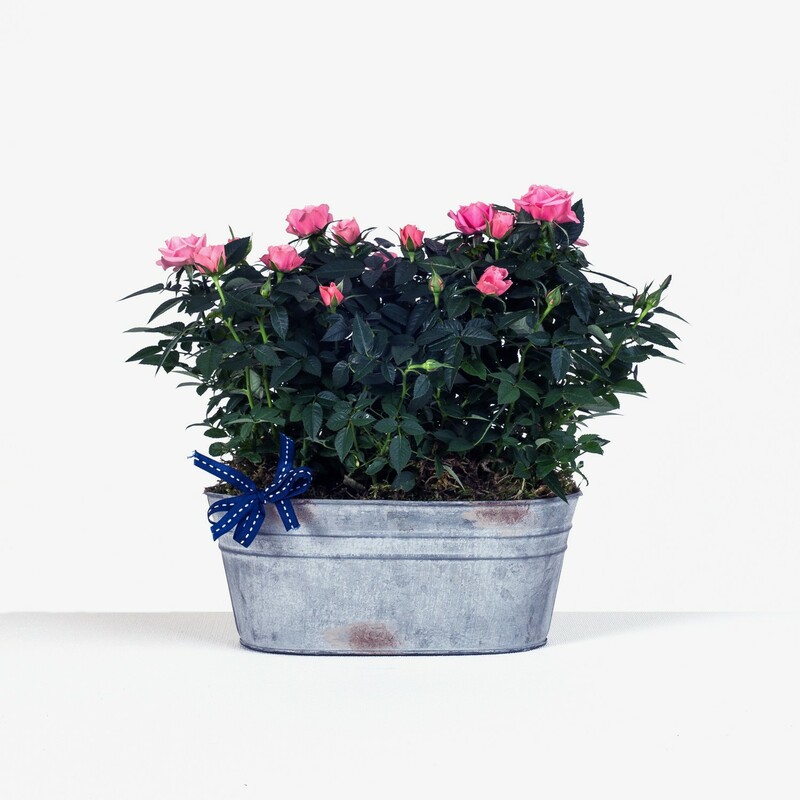 With the vibrant splash of colour contrasting wonderfully against the utility-chic of the metal planter, this arrangement will certainly make an impression and look attractive in any garden, conservatory, or indoors.